Downtown Lewiston is pictured on Aug. 30, 2016. LEWISTON, Maine — Forbes Magazine has tapped Lewiston for a spot on its 2017 list of the top 25 places to retire in the United States. The state’s second largest city is the only Maine location — and the only community in New England — chosen for this year’s ranking. 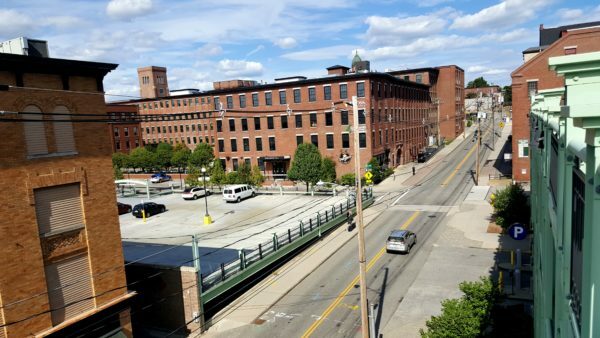 Lewiston is new to Forbes’ annual list. The magazine said its picks for this year include big and small cities in 20 states selected after a review of information on 550 communities in all 50 states. “We strove to find places that provide what we think is the best retirement value — meaning costs, including housing costs and taxes, play a big role in our choices,” the magazine said. “But we also look at access to medical care; quality of life indicators (including crime and air quality); and factors which can make for a healthy and fulfilling retirement, including opportunities for volunteering and exercise,” it noted. The magazine credited the city with a cost of living that is 5 percent below the national average. It also has an above-average number of physicians per capita, good air quality and very low serious crime rate, Forbes found. Cons included a poor state tax climate for retirees and a low ranking on the Milken Institute’s list of the best cities for successful aging.